Only 25 percent of Australian property investors own more than one property in their portfolio, with the majority therefore stuck on the single property. So why do many investors struggle to get past their first property? Let’s take a look at some of the reasons why. Because everyone lives in a dwelling of some description, everyone thinks that they know a bit about real estate and most believe investing in property is easy. The reason why so many investors stop at one is because they didn’t have the correct knowledge and education to start off with. Perhaps they went off and bought the house next door or they were simply too “scared” to take on more debt. Or they have “researched” the market so much by reading scary media headlines that they developed analysis paralysis. 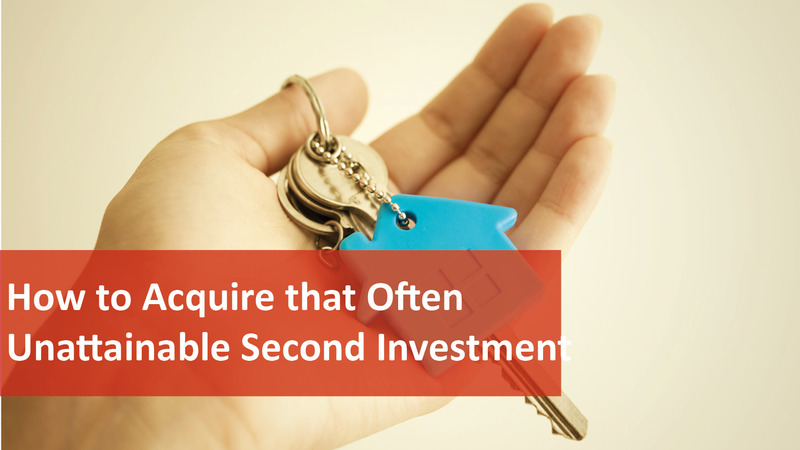 Whatever the reason, most investors simply can’t buy their second property because they don’t know how. One of the most common mistakes among novice investors is they buy the wrong property. Sometimes they’re enticed by an agent, who is really working for the developer, and are soon signing a contract for an off-the-plan unit in an oversupplied suburb. By the time it’s built, it’s not worth as much as the contract price and they’re lumped with a property millstone around their neck that’s not going up in value anytime soon. Many beginning investors also opt to buy “what they know”. Now that could be in their local area, their suburb or their street. The problem with this “strategy” is that it’s not a strategy at all. While you may be familiar with your local area – and like living there – that doesn’t mean that’s it an investment grade location. Many novice investors go to their long-term bank for their first property loan. They believe that because they have an existing relationship with them that it will be advantageous to them. The thing is the banking sector has changed dramatically since our grandparents’ time. There are many more lenders out there – and they’re hungry for your business. Many investors get stuck with one investment property because they didn’t get the right financial advice at the outset. Instead of working with an experienced broker, they simply ask their current bank for money and if they say “no” they give up. A broker can help with your unique financial circumstances and property goals to ensure that if you want to expand your portfolio you have every financial chance of doing so.